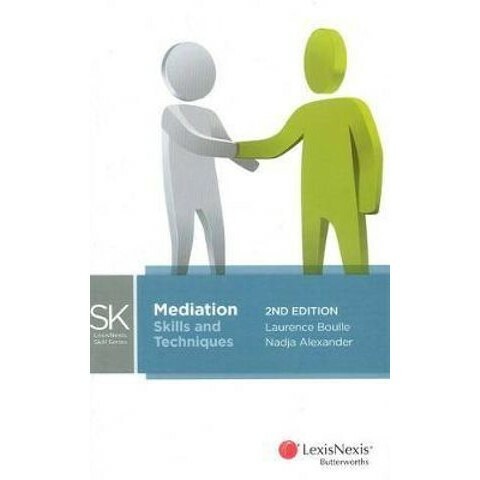 This book is designed to deal with the practical operation of the mediation process, with particular reference to the skills and techniques which can be used by mediators to assist the parties' decision-making process. A range of documents and precedents is provided in the appendicesrly learning, but it will serve as an excellent ongoing reference in students' law studies. Professor Laurence Boulle AM is Director of the Mandela Institute for Global Economic Law and Issy Wolfson Professor at the University of the Witwatersrand, Johannesburg. He is also Professor of Law at Bond University, Queensland, a former chair of NADRAC and a part-time member of the National Native Title Tribunal. Professor Nadja Alexander is Director of the Institute for Conflict Engagement and Resolution and Professor of Conflict Resolution at Hong Kong Shue Yan University. She is also Adjunct Professor at Bond University (Qld) and Murdoch University (WA), and Honorary Research Fellow at the University of the Witwatersrand, South Africa. Professor Alexander is a member of NADRAC and the International Mediation Institute. She is an accredited mediator in Australia and Hong Kong.